Competition. The word conjures images of people pushing and shoving, trash talking, the exulted winner standing above a field of downtrodden losers. Not exactly what most parents consider healthy or constructive for their kids’ development. 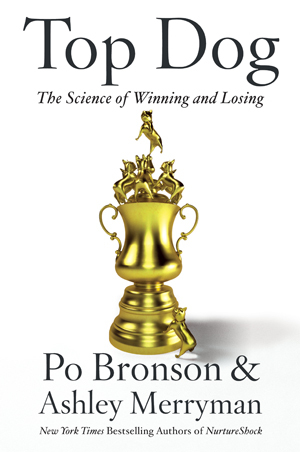 Po Bronson presented a very different picture of competition when he spoke with Michael Krasny on KQED’s Forum about Top Dog: The Science of Winning and Losing, his latest book written with co-author Ashley Merryman. The book examines competition from all angles – physiological, psychological, historical. Their main point: competition, if done right, is a good thing. In fact, competition and team activities can drive learning and performance better than solo endeavors. The performance-enhancing effects of competition and teams do not apply only at elite levels such as the Olympics or in physical match-ups. Competitions held in classrooms and lunch rooms across the country also push kids to do better. “In academic settings, things like chess competitions, math competitions, and science fairs seem to be really great for kids,” Bronson said. For Bronson, that seems to be part of why clubs and teams are “healthy competition” – they have elements like camaraderie that “buffer the stress.” As opposed to say, the SAT exams. “No one ever walks out of an SAT saying ‘Well, I bombed, but I met a lot of good friends at the Kaplan center,’” he said. 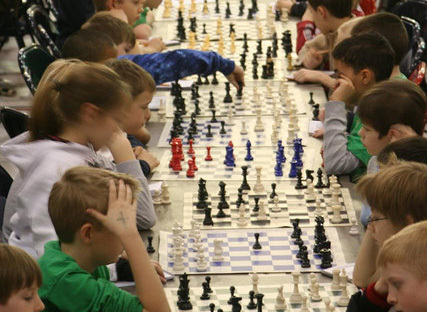 But even the friendly confines of say a chess club or a math team creates pressure. Equally not beneficial is always letting kids win. It’s a common scene: a child and an adult race, and the adult holds back to allow the child the thrill of winning or perhaps, more realistically, to avoid tears. But losing, according to Bronson, is a lesson everyone should learn. But if and when you do let them win, base that decision on their effort. Bronson says that it’s important to judge how hard a child is working before handing over victory. That approach should be taken in all kinds of situations, say if a child increases his concentration while playing a board game, or if trying harder in an academic situation, says Bronson. “What kids need more than anything is not to win or lose but a close race, a fair competition where everyone feels like they’ve got a fighting chance,” said Bronson. A “fighting chance” is a subjective call and some parents might be inclined to pull their kids from playing with older kids, including siblings. But being the underdog has developmental advantages. Kids need to learn to work hard, even when they’re not the best. “To go out there and compete outside the home as a kid, it means learning to keep going even though you’re not the best on the field, you’re not the best in the classroom, you need to learn to continue to supply that effort even when you’re comparing yourself to the best who are around you,” said Bronson. That is a lesson that younger siblings receive in abundance. As a result, younger siblings have a competitive psyche and are more willing to take risks. Bronson points to research by Frank Sulloway that discovered of the 350 sets of brothers that have played in Major League Baseball, the younger ones are twice as likely to attempt to steal a base. People who compete regularly have more opportunities to control their fear of being judged or performing poorly. Bronson found that even professional athletes get nervous before a competition, but they’ve learned to use that anxiety to their advantage. As one Forum caller put it, instead of fearing butterflies in the stomach, learn how to get them to fly in formation.